Leather furniture is a great investment for your home. From a practical standpoint, it’s incredibly durable, and lasts up to four times longer than fabric. Plus, it’s easy to maintain and holds up to kids and pets (more on that later). From an aesthetic standpoint, nothing beats its luxurious texture and look. It adds an element to your room that fabric simply can’t replicate. Within our collection of quality, Italian-tanned leathers, we have several options to choose from. Each leather has a unique character and texture, and performs a little differently because of variations in how they’re tanned and finished. Because you can custom order any of our leather furniture in any leather, you have the freedom to choose the leather you love the most. Picking the right one comes down to two points: performance and looks. 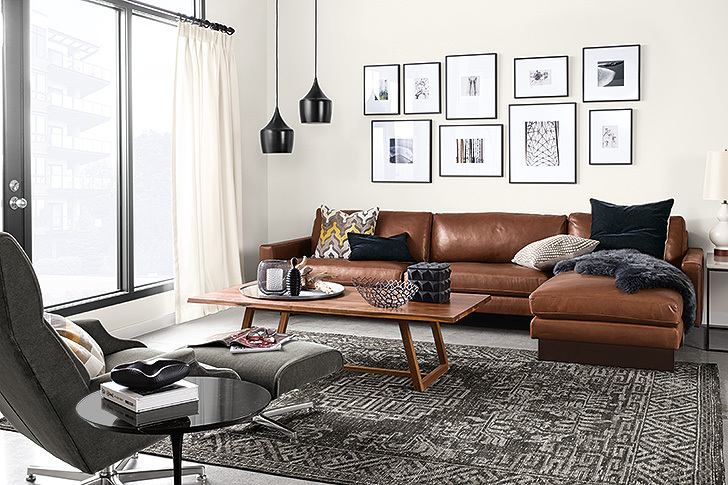 Use this quick guide to help you find the best leather for your new furniture. 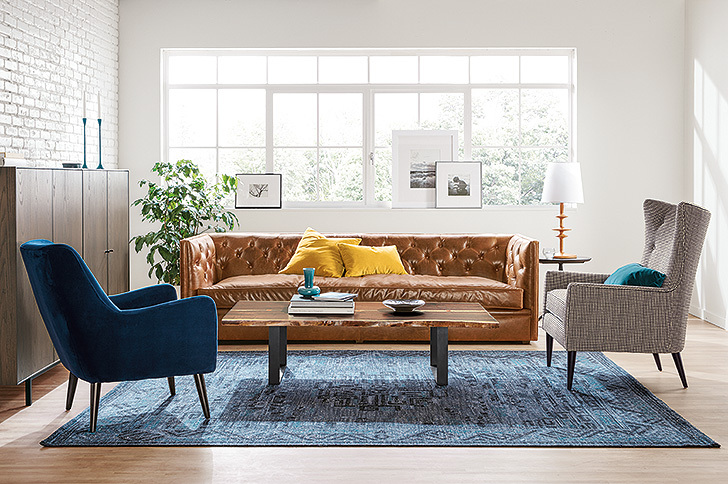 Some people shy away from leather for family-friendly furniture, but it’s actually a great choice because of its natural durability and stain resistance. A semi-aniline leather, which has a protective finish, will be easiest to clean and offer the most resistance to scratches. We have two semi-aniline leathers that are great for kids and pets: Lecco and Urbino. If you want a classic, timeless look, go with a full-aniline leather like Vento, Annata or Portofino. Our full-aniline leathers are minimally processed to bring out the natural markings and color variations that are the hallmarks of fine leather. These leathers are designed to develop their own unique character over time, meaning they’ll show scratches and other signs of wear as you live with them. It’s part of what makes them so appealing, like a well-worn baseball glove or a vintage leather jacket. All of our leathers are top-grain, which is highly durable and the best quality available for upholstery. 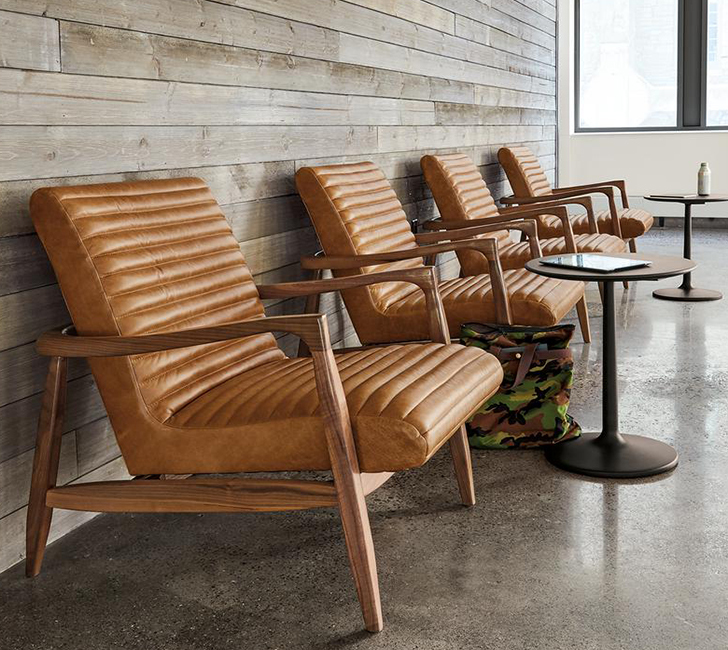 For businesses and commercial settings, we recommend leather with a semi-aniline finish for enhanced stain resistance like Urbino. To help you choose your favorite leather, we offer free leather swatches. Order online or stop by a store to shop and take swatches home with you. If you want to dive a little deeper into details about our leather quality and the different options, check out our Leather Guide.